May 3, 2017 Ron Thomson 1213 Views 9 Comments Animal Rights Groups Earn Millions through Multifarious Propaganda Machinery, Fraud repeated it is called “racketeering”, In southern Africa alone all elephant populations are “excessive”, The African elephant is not facing extinction!! The animal rightists are constantly lamenting the fact that it is immoral to make money out of wild animals. This is a laugh because the animal rightist NGOs make hundreds of millions of US dollars every year from their propaganda campaigns. Without any doubt, the top echelon NGOs make infinitely more money from the propagation of their lies about wildlife and its management than does any single entity of wildlife management business. According to the people who have examined their money making programmes, the International Fund for Animal Welfare – better known as IFAW – (the biggest animal “rights” organisation in the world), for example, are said to command an annual income of over 200 million US dollars; and the Humane Society of the United States (HSUS) – according to the American Internal Revenue Service (IRS) – regularly earn 150 million US dollars a year. Animal rights groups, generally, know to keep their mouths shut about their earnings but organisations like “Charity Watch” keeps tabs on such information; and they tell us that only a tiny fraction of the monies so hustled-from-the-public is ever used for the purpose for which it was collected. How do they earn such fortunes? They do it through their multifarious propaganda machinery! NB: Propaganda, by definition, is: “The spreading of ideas, information or rumour for the purposes of promoting an ideal – or injuring an institution, cause or person – by any means true or false.” So propaganda has nothing to do with telling the truth! For example: practically every animal rightist NGO in the world – during the 18 months run up to CITES CoP17 in Johannesburg last year, told the world – repeatedly and continuously – that the African elephant was facing extinction; and each one of these NGOs solicited funds from the general public in the First world, ostensibly, to enable them to “save” the elephant from this ignoble fate. First of all, the African elephant is not facing extinction!! Nowhere near it. So the story they told their ignorant publics was a lie. But it was, for them, a “good” lie because they were able to generate a great deal of hype, hysteria and emotion over the illusion that they created! Now – to understand the ‘workings’ of their propaganda machinery – all we have to do is examine this particular state of affairs in simple detail. First of all, the African elephant is not facing extinction!! Nowhere near it! So the story they told their ignorant publics was a lie. But it was, for them, a “good” lie because they were able to generate a great deal of hype, hysteria and emotion over the illusion that they created! Now – to understand the ‘workings’ of their propaganda machinery – all we have to do is examine this particular state of affairs in simple detail. Was that story a lie? Yes, it was – because in southern Africa alone all elephant populations are “excessive”. This means they have all exceeded (by far) the carrying capacities of their habitats; they are destroying their habitats; and, in accordance with the principles of “best practice” management, this demands population reductions (to start with) of at least 50%. And if this does not happen, their sanctuaries will lose their biological diversities – forever. Creating and disseminating such an illusion (such a lie) – for the express purpose of soliciting funds from the general public – constitutes “fraud”. When such fraud is repeated, it is called “racketeering”. And when that “racket” is repeated by several entities it becomes “organised crime”. All this needs to be tested in a court of law and, hopefully, one day soon that will happen. But THIS is the “nature” of the animal rights animal! Our last visit to chobe showed us the destruction made by too many ellephants to the trees and the soil was bare in places ; ditto for areas around satara in the knp when we visited last year. I am pleased to see that you are taking the trouble to vindicate the truth which the TGA projects. Thank you. And Well Done! This was my comment ; actually on our trip in bot from south gate moremi to savuti and to chobe my wife counted 400 + elephants ; just roughly as we saw them ; then in chobe most of the ground bare and depleted of trees in places. (1). This is absolutely true. Animal rightist NGOs make hundred of millions of US dollars annually through their dubious propaganda machinery. (2). What Joao has recorded here – with regard to his observation on the terrible state of the wildlife habitats in Botswana – is something that I have been predicting and telling the world about for the last 25 years. But nobody, it seems, listens. It is time that ordinary people in this world rose up from their lethargy and started a movement to alert the whole world to the tragedy that is Botswana today. 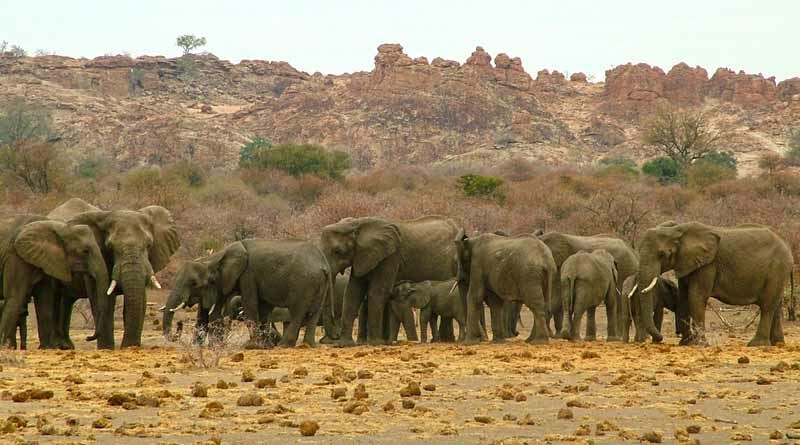 The wildlife and wild places of Botswana is NOT just owned by President Ian Khama… it is a world heritage that the politicians of Botswana are destroying right before our eyes. Thank you for your comment. Please share our website with your friends. Well done. Thank you Joao for confirming our observations. Considering your recent article entitled ‘Animal Rights Groups Earn Millions ….’ and of May 3rd 2017, and whilst I wouldn’t for one moment suggest that you haven’t faced the realities of the power which is wielded – and squandered too, by the AR bodies, I’m none the less pleased to read of your thoughts. Again, I’m quite sure that this doesn’t apply to you – but I read of a worrying dismissal by many who hunt – and of the power of these AR bodies. These AR units attack and enter via the vulnerable under-belly of hunting, they encourage via their implied support, political parties to believe – perhaps with a degree of truth – that they are the suppliers of considerable electoral support and our politicos, desperate for support will legislate in a way which is completely at odds with any common sense or rational support (witness) your valuable and logical arguments; and as an example, fox hunting with hounds, here in the UK is now banned, with most of the politicos involved at the time, now accepting the lunacy of their actions – – too late, much too late. The AR bodies assure the world that their level of compassion is such that few dare deny their claims- after all, love does conquer all, doesn’t it? Generally, logic and reason being the first things out of the window. Let’s consider the question of ivory for the moment and a logical thought stream; The ARists have their way, persuade a shaky Trump regime that the way to garner in more votes (with suitable support, let’s not forget) would be to ban the import of ivory in to the US – – as a second string to their bow, there are the airlines which would carry the ivory trophies and they could perhaps refuse to transport to the US – or even firearms out to Africa. What would happen if those who want to hunt elephants, those who spend vast sums to do so, consider that they won’t travel to Africa and spend, what to many is a fortune, just to hunt for an elephant, if they aren’t permitted to bring their trophy home? What would happen? A crashing fall in the revenue brought in to those countries and it’s peoples, where elephants are hunted – with a decline in visiting sportsmen, so a lack of revenue, a decline in the well being of bush living families both black and white, poaching being the only realistic way for anyone to earn a living and the certain decimation of a valuable national asset. …….. and why? Simply because those who are so blinkered by their clung to vale of ignorance, that their belief is that they alone – not those who manage elephants every day of their year, have the answers. 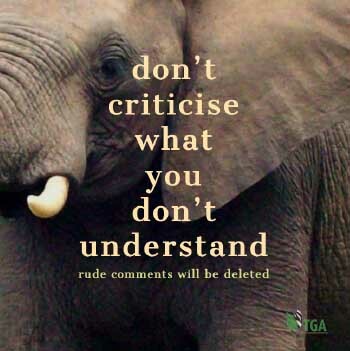 Referring to the Animal Rightists in disparaging tones is not, despite the temptation, the way forward – – it’s my view that they need to be engaged with, embraced, taken on board – use what ever metaphor fits, invited out to see the work itself, and encourage them to support African wildlife, rather than have them being solely responsible for the resultant crash. There is an example of such well intentioned interference; In the 1960s there was a Newspaper owner here in the UK called Robert Maxwell – a thoroughly loathsome man. He linked up with and held hands with Greenpeace over the question of the Inuit Canadians who were earning a partial living from the harvesting of seal skins, it being a seasonal occupation when they weren’t fishing during the close season. Maxwell and Greenpeace, between them suffocated the sales of sealskin products. The results of their joint actions were catastrophic for those fishermen. The seals having no natural enemy multiplied out of proportion to the feed available, the fish stocks dwindled below sustainable levels, the fishermen now denied a living were existing on government handouts and turned all so often to alcohol – and that remains a problem to this day, for them. Greenpeace eventually pulled out from their support, they remain in denial of the damage that they have done, but privately, they now tend to take a more pragmatic view. I feel strongly Ron, and just as you do. I also enjoy your well presented and equally well written articles. YES. The love for money is the root of all evil! A lovely letter. I understand everything that you say. Thank you.